Hi! This is Marco from ohmydish. Today I want to share with you how to properly dice onions. 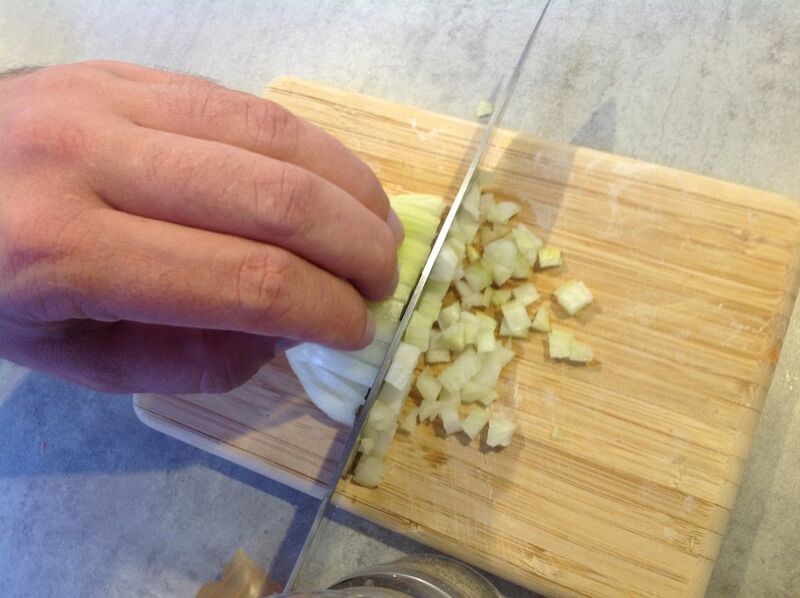 Have you ever wondered what chefs and professionals do differently when slicing or dicing onions? In this article I will visually show you how to dice onions like a pro. 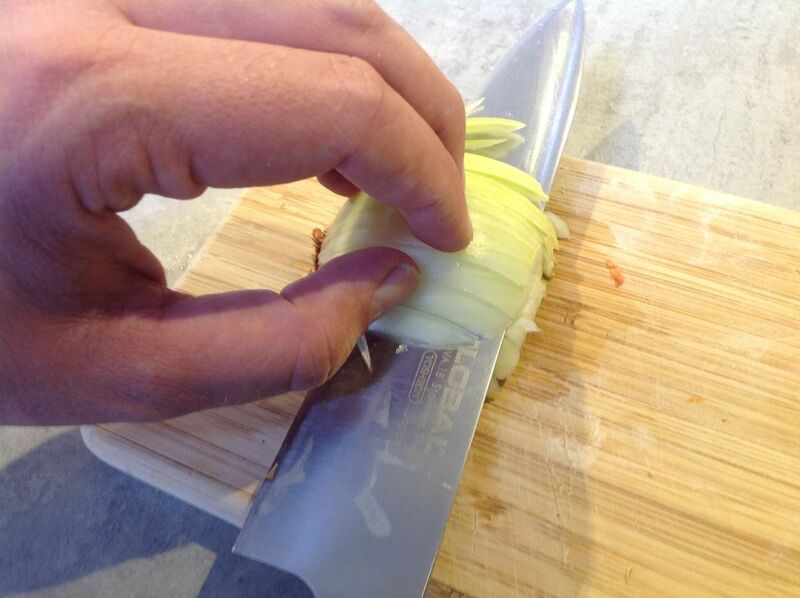 Start off by grabbing an onion and cut one by one of the ends of with a chef’s knife. Don’t remove the root part since that will hold the onion together when we are going to cut it. 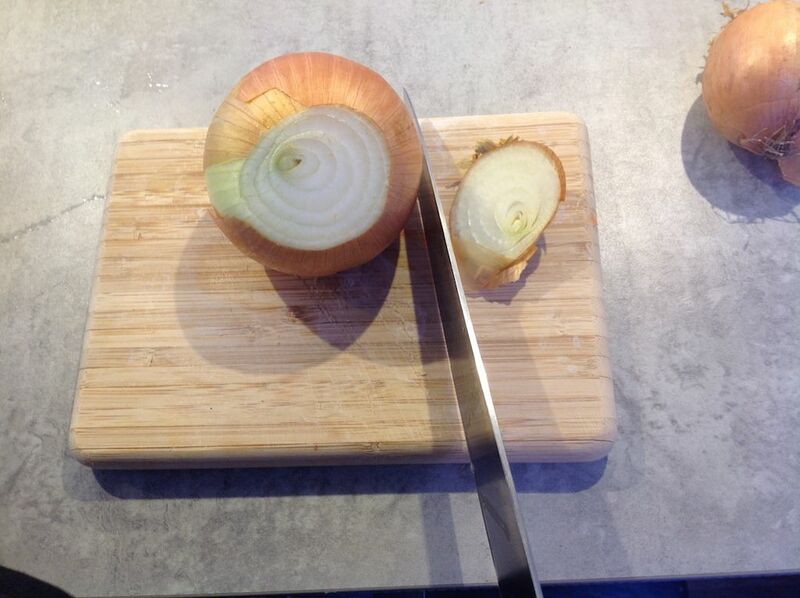 Cut the onion in two parts half lengthwise. Peel off the onion’s skin. Remove the first layer and the next (slimy) layer as well. 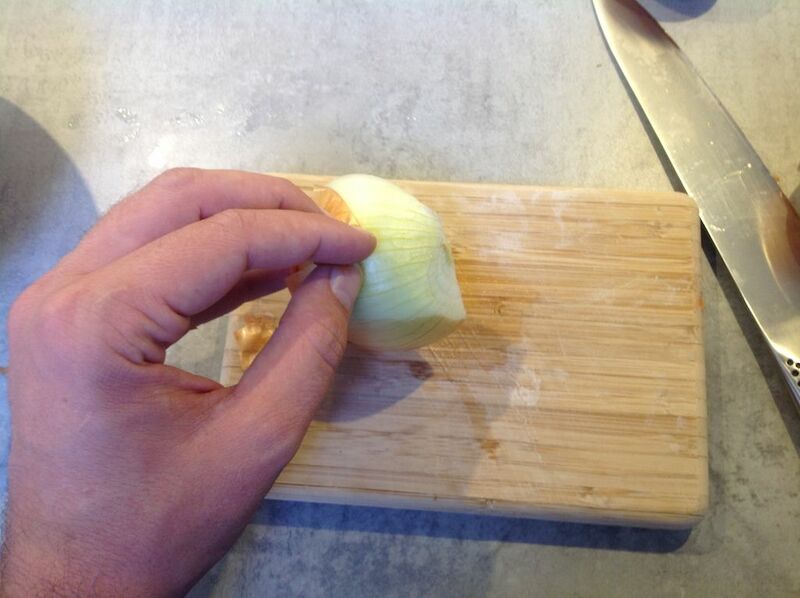 Place the onion cut-side down on a cutting board and make vertical cuts. Keep away from the section where the root is otherwise the onion will fall apart easily. Make horizontal cuts. This step repeats the previous instruction, be careful to not cut into your hand. Keep your hand on top of the onion. 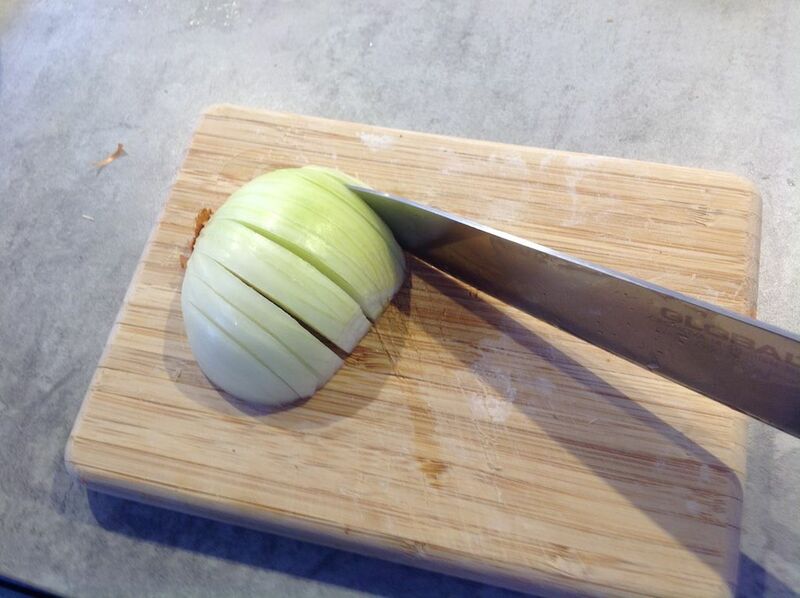 Last step: cut across the onion half, top to bottom. Work from right to left. Remove the root part when needed. Reverse this if you are left-handed. There you have it! Now you can dice onions like a pro too! 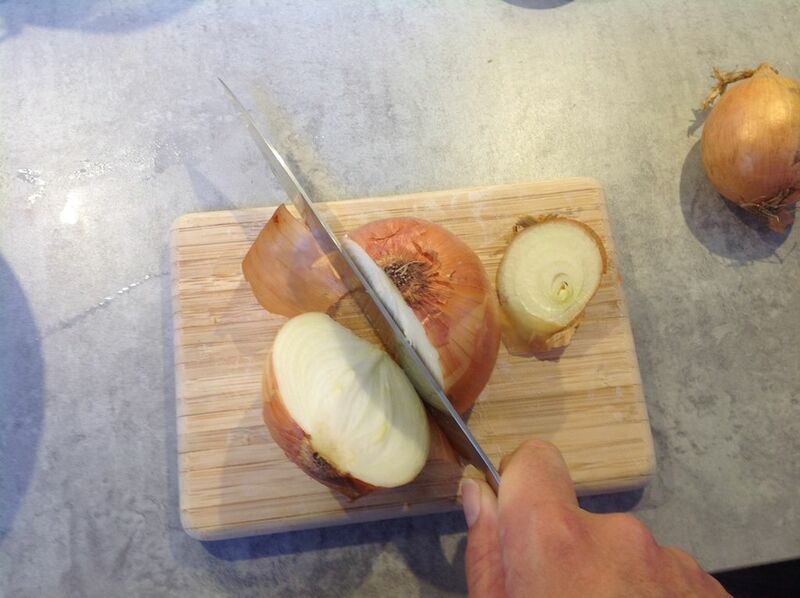 Keep practising and try to see if you can make the diced pieces of onion as small as possible.